A pastor (or any leader) can become comfortable and easily get stuck in a rut. This means that he or she is not flexing ministerial muscles in preparation for the new opportunities and challenges that will rise in every context. Although a pastor should encourage the congregation to be healthy and attempt new initiatives, there are ways that the pastor can be proactive on an individual basis with little or no approval necessary from the congregation. Experiment with an innovative approach to preaching. This may be using the lectionary for a change, doing a book study, planning dialogical sermons, or preparing a series on a particular topic. Just try something different than you have not done before. Launch a new Bible study class that the pastor teaches. This could be for new-comers or seekers. This doesn’t have to be long-term, but it can provide personal contact with a new set of people for the pastor. Become a volunteer in the community. Although every pastor is busy, perhaps he or she could be a volunteer chaplain for a hospital, a police or fire department, or a community agency. 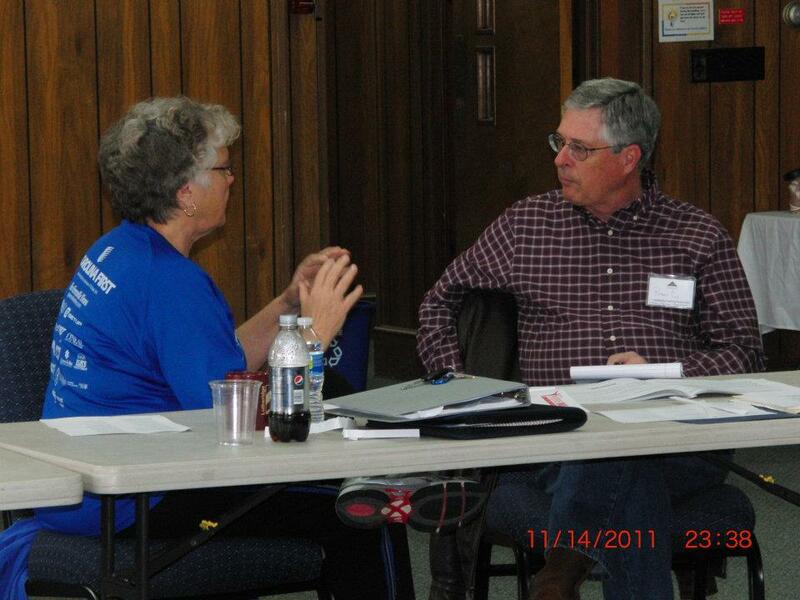 Another possibility is service on the board of a community organization. This expands the pastor’s boundaries in many ways. Take an online course such as those offered by Coursera, EdX, Acumen, and others. These MOOC’s (massive open online courses) cost little or nothing and provide exposure to the top teachers and practitioners in leadership, psychology, communication, and other fields. 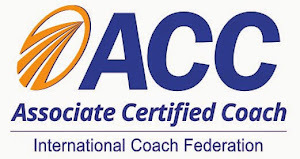 Contract with a professional coach to work on personal, professional, and spiritual development. The coach helps the client identify new opportunities and pursue them in an intentional way. Participate in webinars and short-term courses that will enhance your leadership. 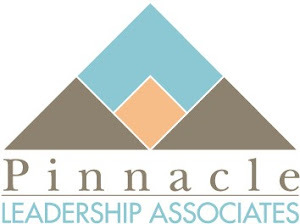 Organizations like Pinnacle Leadership Associates provide a variety of offerings. Consider seeking an additional degree. This could be seminary degree such a Doctor of Ministry in Creative Leadership from Central Baptist Theological Seminary that will help you develop your skills in a particular area or a graduate degree in a field of interest from a college or university. Many of these are available online, but you might benefit more from the personal contact with other students in a classroom setting. What has been said here for pastors applies to all clergy and to lay leaders as well. Challenging ourselves to grow, try out new experiences, and continue to learn makes us more healthy and productive, as well as keeping our ministries fresh. On further reflection, I think that there is another dimension that the Christian coach brings to the coaching conversation: the coach’s understanding about how God might be at work in the life of the person who is being coached. If the Christian coach is to be faithful to his or her calling, the coach realizes that there are three persons involved in the conversation: the client, the coach, and the Spirit of God. I try to remind myself of this is in a couple of ways. First, before coaching sessions I try to set aside a couple of minutes to pray and ask God that I will know when to remain silent so that the Spirit might speak in the conversation. If I say too much or attempt to fill in the silent spaces, I may be intruding on what the Spirit is saying to the client or what the Spirit is drawing out of the client’s experiences or insights. Second, I have a printed copy of this verse on my desk: “The wind blows wherever it pleases. You hear its sound, but you cannot tell where it comes from or where it is going. So it is with everyone born of the Spirit.”(John 3:8, NIV) As we reflect on the Book of Acts, we observe the Spirit of God act in remarkable, unexpected, and--some might say--chaotic ways. As a believer and as a coach, I must avoid stifling those expressions of the Spirit’s work, especially in the life of my client. A Christian coach is not identified by an adjective but by an attitude--one that recognizes that God is still at work in the world. The process for supplying ministerial leaders used to go something like this. Churches nurtured young people who “responded to the call to ministry.” After the candidates completed college, the church sent them on to the denominational seminary which not only taught denominational doctrine but were funded by the denomination to do so. When the student graduated, he (and sometimes she) began candidating through the denomination’s accepted process and found an initial place of service. This may be a simplified explanation that did not always work as smoothly as stated, but this was the general idea. The current situation is much more complicated. Potential seminarians respond to the call later in life—either after an educational hiatus following college or after starting a career and family. Some don’t have any college education at all. Denominations are no longer funding theological education as they once did, so students carry more of the educational debt load. A final challenge is that churches may call out potential ministers, encourage them to receive preparation, and then cannot afford to employ them. The changes in the religious ecosystem call for new types of partnerships among individuals preparing for ministry, churches, and theological institutions. 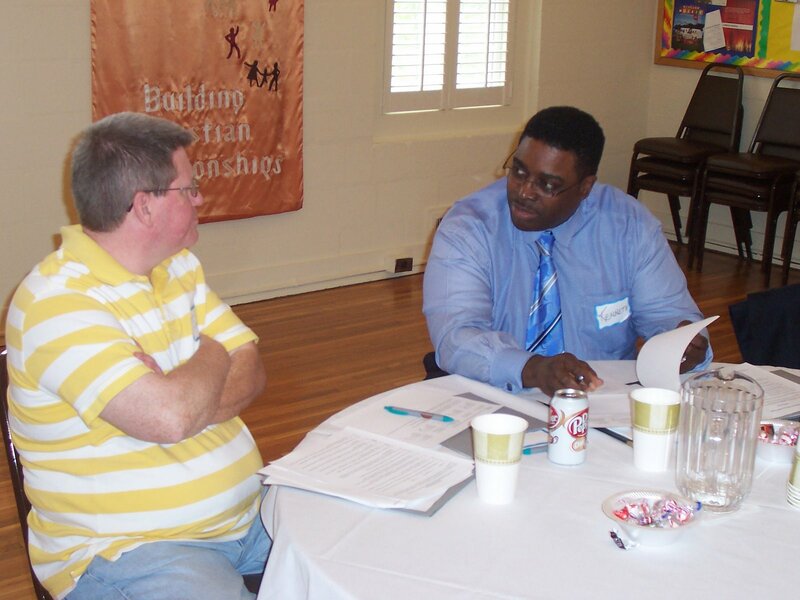 For the most part, churches still want trained clergy leaders. Most traditional denominations require a certain amount of education before they will ordain a minister. Even megachurches see the value in ministerial education. A recent study conducted by Leadership Network and the Hartford Institute for Religious Research showed that three-quarters of mega churches have an internship or mentoring program for ministerial preparation. Twenty-five percent of those are conducted in cooperation with a recognized seminary. 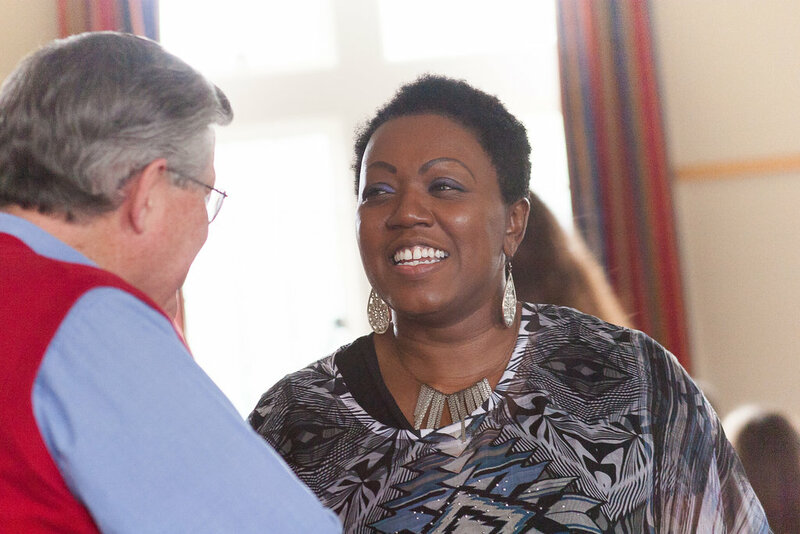 With the advent of distance learning and flexible degree programs, any church can partner with a theological institution to provide training for a prospective minister. With many churches choosing to call ministers out of their own fellowship, the importance of adding another partner to the mix is vital. This collaboration provides resources and perspectives that the church alone cannot supply. The next step, and perhaps the hardest, is convincing a church to step up and be a responsible financial partner in this relationship. In the best of all possible worlds, the church would not only help provide a place for a prospective or current minister to serve, but would compensate the person and assist with the cost of his/her education. A commitment on the part of the minister either to serve the church for a specific period of time in return for this assistance or to provide partial repayment if she or he left would safeguard the church’s investment. Other benefits could result from the relationship as well. For example, seminary professors could provide Christian formation opportunities for church staff and laity. Church staff could take advantage of the library and continuing education offerings of the seminary. 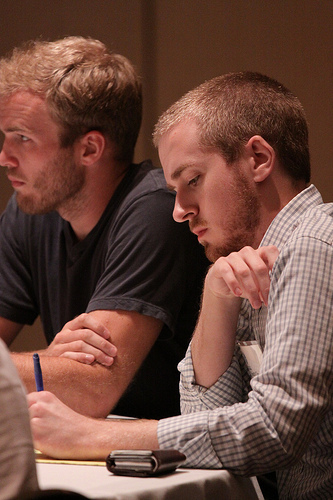 The church could offer a laboratory for other seminary students to observe congregational life in action. The times call for new ways of thinking and relating but implementation requires openness on the part of all the potential players. As I listen to conversations about the challenges that established churches are facing, I am reminded of the quote, “We need more churches but not like the ones we have now.” The point of this statement is that there are people groups who are not going to be reached by the traditional, established churches. The may be due to the context, the types of ministries offered, or lack of clarity about vision and purpose. Even with many churches in decline and some even closing, I believe that there is a place for the creation of new faith communities. When I worked with a denominational group, we talked about three types of church starts: upstarts, restarts, and new starts. None of these is easy. An “upstart”is a euphemism for a church split. In the changing denominational landscape of recent years, we have seen a lot of these. I was part of a group that was just days away from launching an upstart. What stopped this action was the departure of the pastor of the church where many of us were members. He decided it was time for him and his followers to do their own upstart! Some upstarts prosper, but only if they move away from their original reason for existence. Many are created out of dissension--disagreements about doctrine, leadership, or polity. If the new faith community can move beyond this and find a clear mission and reason to exist, it can grow and develop. New startsrequire a lot of hard work and commitment. Their leaders tend to identify a particular geographical area or people group and create a community to reach and involve those individuals. I have been part of one of these that was moderately successful and have also encouraged the development of several more, a couple of which have survived and prospered. A restart churchis one where a congregation acknowledges that it is time to celebrate what they have done and turn their site over to another group. Very often the new ministry is oriented toward a particular ethnic group with leadership who can identify with that population. This happened with my home church. Usually the focus of a restart is on a particular affinity group--singles, artists, economically challenged--and the approach is very different from that of the previous congregation. Be able to celebrate small wins and see where God is at work. No matter the type of church start a person becomes involved with, the work is difficult but rewarding as one begins to see God at work in the fellowship and in the community. I once did a consultation with a church that averaged about thirty people on Sunday morning. As I reviewed their organizational structure, I noted that they had 45 committee positions and they were all filled. Of course, several people were on more than one committee! Considering the challenges they were facing, they were expending a lot of energy on filling committee slots. Many churches struggle with finding not only the right people to fill out the church’s organization chart but enough people who are willing to serve. 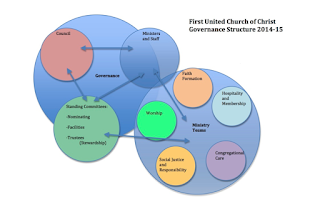 I speak to this primarily from the perspective of churches that practice a congregational polity, but I am sure this is true with churches that practice other forms of governance. People are involved in other things like children’s sports, leisure activities, and travel. Serving in a church leadership role is no longer seen as a place of honor or prestige. Both parents are employed, and they want to spend their free time with each other and family. We have too positions to fill and many have no real purpose. We ask people to do things that they are not passionate about or equipped to do. A first step in dealing with this concern is to decide what standing committees we really need. There are certain administrative functions that need to be covered: facilities management, personnel administration, and financial accountability. The groups dealing with these functions should be made up of people who have the ability and commitment to make sure these activities are done not only legally but ethically. The second step is to determine the key ministries which should be covered. Many churches now use teams rather than committees to address these specific functions. The teams are usually composed of people who have both the gifts and passion for a particular ministry. Often they are enlisted by staff ministers or team leaders rather than a nominating committee. Some teams are project oriented and people serve until the task is accomplished. Members of other teams may be asked to serve for a specific period of time or be given the opportunity to renew their commitment annually. A helpful feature of teams is that they usually are not listed in the governance documents of the congregation, so they can be created, altered, or ended as needed. It is hard to kill a committee! A third step to consider is governance--coordination between ministerial staff, administrative committees, and ministry teams. Very often this is done through a council with representatives from staff, the administrative committees, and the facilitators of the ministry teams. This is the place where the vision of the church is championed and the interests of the congregation as a whole are addressed. One example of a missional approach to organization is illustrated by the diagram. First United Church of Christ in Northfield, Minnesota, has addressed this concern and come up with a creative approach. It is clear, clean, and functional. If you know of others, please share them with me at ircelharrison@gmail.com. 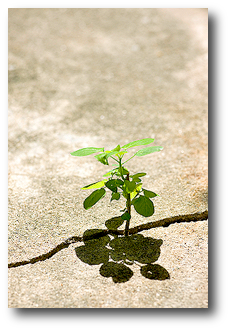 During the latter part of the last century, many churches fell in love with church growth methodologies. 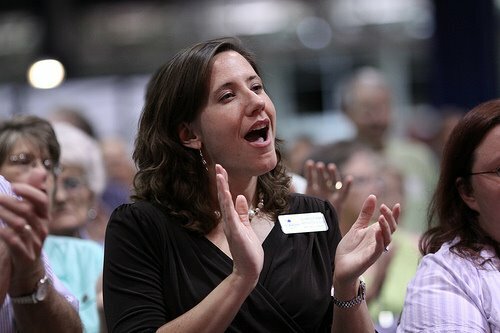 The church growth movement adopted the organizational and marketing ideas used by businesses in post-World War II America. These included designing events based on the demographics of your community, providing comfortable meeting facilities, making certain that everything the church offered was polished, and evaluating customer experience to make church ministries more attractive. There were some positive aspects of this approach, but it fostered a “if we build it, they will come” mentality. This was an attractional approach. If this approach could be coupled with a discipleship process that connected people with the church and help them grow in their faith, a strong and vibrant church might develop. Unfortunately, the second part of the attractional concept did not happen in most cases. As Darrell Guder observes, “Churches became purveyors of goods and services to consumers.” If people were not happy with the goods and services offered, they packed up and went shopping for another church. An alternative is the missional approach. The missional idea is that the people of God have been called to accomplish the mission of God. The work of the people of God is not limited to the sanctuary (or auditorium) on Saturday night or Sunday morning, but takes place wherever the members of the Body of Christ find themselves on Monday morning and throughout the week. The difference is similar to that of the day camper and the pilgrim. Day campers drop in for the experience of the day and then go back home. They are involved in only select parts of the journey. Pilgrim are involved in the journey 24 hours a day, seven days a week. They are not simply involved in an experience but in a life of learning, discovering, and serving. The attractional idea is deeply imbedded in our churches. We want to make simple, technical changes that will make our congregations more attractive. Rather than renovating, we would be better off to tear the institutions down to their foundations and rebuild. Since this is not going to happen in most of our churches, we can begin to think about how we might adopt a new paradigm where we go to the people rather than asking the people to come to us. We can begin to make the adaptive changes that will move us toward being the people of God on mission. It’s not an easy task, but if it were easy, anyone could do it! 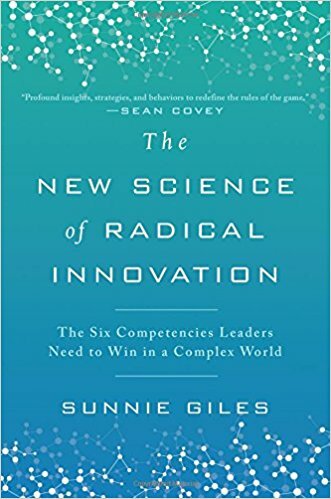 Sunnie Giles’ The New Science of Radical Innovation is a remarkable book, but it is not an easy read. Drawing from the fields of artificial intelligence, neuroscience, quantum mechanics, systems theory, psychology, sociology, and business (among others), Giles provides important insights for successful leadership in a VUCA--volatile, uncertain, complex, ambiguous--world. Her breadth of research and knowledge about our present context is a bit overwhelming. The author’s theme is that radical innovation is mandatory for organizations to be effective in the current environment. Giles identifies six distinct competency groups necessary to implement this type of innovation: self-management, providing safety, creating differentiation, strengthening connection, facilitating learning, and stimulating radical innovation. These form a pyramid of tasks, one building upon the other. The bottom two layers are about safety, the middle two layers are about connection, and the top two layers are about learning and innovation. The result is what Giles calls Quantum Leaders, people who see with a new perspective and act upon it. Each competency is pursued in detail and readers will be familiar with some of the ideas presented. For example, a key aspect of self-management are the skills of self-regulation, self-awareness, conscious communication and other-awareness, familiar concepts for those who understand the importance of Emotional Intelligence in leadership. 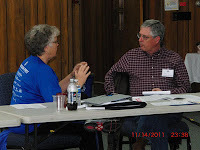 The discussion of connection covers topics such as differentiation, diversity, boundaries, and self-organization, ideas taken from systems theory. Learning and innovation touch on concepts of adaptive leadership. Her summary of “future leadership mandates” is informative. Decision-making must move beyond command and control structures provided by leaders to more autonomy and self-organization for those “on the boundaries” who interact with today’s rapidly changing environment. Leaders must build teams that can exercise control and accountability based on peer policing and transparency. Performance review and feedback must be provided in real time, facilitating a feeling of safety and maximizing learning. Risk management must change from rigid, set policies to allow flexibility, tolerance for ambiguity, and resilience to failures. The variety of disciplines that Giles brings to the subject is stimulating, but some sections almost seem to be an academic text book on a discipline. Some case studies are provided, but more would have been helpful for the lay reader. This leaves me asking who the author perceived to be her preferred audience. In the conclusion, Giles explains that the book “is a culmination of over twenty thousand hours of organizational consulting, training, coaching, teaching, strategy development, and research.” Given that background, the reader should expect to devote considerable time to digesting its contents but will find it an excellent resource. 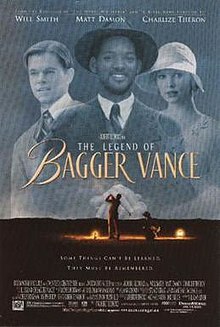 Have you seen The Legend of Bagger Vance? The film was released in 2000 and was not a box office success. I must admit that I had not seen it until recently. I saw it on a list of films that life coaches should watch, so I found it on Amazon and watched it with my wife a couple of weeks ago. A sports fantasy, The Legend of Bagger Vancewas directed by Robert Redford and starred Will Smith, Matt Damon, and Charlize Theron. Although it was generally panned by critics, the theme of redemption through finding encouragement, focus, and purpose fits well with the coaching paradigm. The film is told through the eyes of Hardy Greaves. Played by Jack Lemon as an old man, Greaves’ heart attack on a golf course provides the bookends of the story. As he lies on the grass, he thinks back to his experiences with Bagger Vance (Smith) and Rannulph Junuh (Damon) when he was a youngster (J. Michael Moncrief). A beloved son of Savannah, Georgia, and a competitive golfer, Junuh leaves all this and his girlfriend, Adele Invergordon (Theron), behind to serve in World War One. His company is wiped out with Junuh as the sole survivor. Although he wins the Medal of Honor for his personal bravery, Junuh fails to return home after the war. He finally turns up years later as an alcoholic and gambler without a purpose in life, considering himself a failure. To move quickly through the plot, Adele’s father has died leaving the resort and golf course he developed to go under due to the Depression. In an effort to save her family fortune, she sets up a celebrity golf exhibition featuring two of the best players of the day, Bobby Jones and Walter Hagen. With young Greaves’ encouragement, Adele reaches out to Junuh to play and build local support. This is when Bagger Vance shows up and offers to be Junuh’s caddie. Vance models great coaching techniques. He wants his client/golfer to succeed, but Junuh’s success is not up to Vance. He is encouraging but challenges his client/golfer when necessary. Vance stands back and allows Junuh to make mistakes and learn from them. When Junuh hits a ball into the woods and the stress of the moment brings on a battlefield flashback, the focus that Vance has taught him brings him back into the game to make a seemingly impossible shot. Of course, the movie is a fantasy like Field of Dreams(1989). The point is not to be accurate or realistic, but to share an idea. Although Rannulph and Adele must be in their late thirties in the film, they look like college students. Vance mysteriously appears and then disappears when his work is done. He also shows up unexpectedly at the end of the film as Greaves is dying. According to Wikipedia, the plot is loosely based on the Hindu sacred text, the Bhagavad Gita, where the Warrior/Hero Arjuna(R. Junuh) refuses to fight. The god Krishna appears as Bhagavan (Bagger Vance) to help him to follow his path as the warrior and hero that he was meant to be. Building on this account, the film’s story is meant to be mythical with a deeper meaning than one might perceive on the surface. On an emotional level, the film is uplifting. On an intellectual level, it requires one to leave a sense of reality behind. The viewer knows how it will end, but Junuh’s struggle for redemption and the interplay with Vance is fun to watch. Will this make someone’s list of all-time greats? Probably not, but the film reminds us that redemption is available when we find encouragement and purpose in our lives. Several years ago, I was coaching a lead pastor who had served two other large congregations in associate roles. He recounted that in one church, his only personal conversation with the pastor was when they did an annual performance review. In the other situation, the pastor did not even do his performance review and sometimes he did not even speak when they passed in the hall way! The pastor I was coaching wanted to invest himself in developing his church staff and was seeking guidance as he did do. I conducted a staff development day in another church last week at the invitation of the lead pastor. We spent the morning in a community-building workshop using the Peoplemap Personality Inventory. In the afternoon, I had individual sessions with each staff member to discuss the inventory results, their current work, and their roles in an upcoming staff realignment. It was a good time for fellowship, learning, and exploration. The two pastors I mentioned both understood not only the importance of their own personal and professional development, but also that staff development is a priority in today’s church. In my work with the church last week, I was reminded of several things. First, every minister on a staff is unique. Even if their personality styles are similar, the way that they perceive themselves, carry out their work, and communicate with others varies based on experience and training. Second, every staff minister is gifted and called. Although one may lose sight of that calling from time to time, a person goes into the ministry because of a sense that God is at work in his or her life and that individual can make a difference in the lives of others. Often, we need a refresher course to remind us of our calling. Third, encouraging the work of individual staff members and developing a functioning team takes time and work. We are all busy, but “sharpening the ax” increases our effectiveness and is worth the investment. Staff development is a way to break down silos in ministry. It is easy to get into our own little world and forget that each staff minister is not only responsible for his or her own work but is also part of a larger team. Churches prosper when staff members work together with trust and confidence. Churches profit when ministers are involved in cross-functional and cooperative efforts where the staff’s varied gifts and skills are brought to bear on an important initiative in the life of the church. Investment in staff development is not only valuable for the individual ministers but benefits the church through unified effort and effective ministries. It is well worth the time. This passage from John really tells us all we need to know. Jesus presents his disciples with the missio Dei: “Even as the sending Father has sent me, now I send you to share the Good News.” The Spirit would come in power to give them strength, insight, and clarity, but the mission was now theirs to continue. Now it is ours. I am not blind to the struggles that the people of God face today. Our most successful models of being church and doing mission seem to have lost vitality and effectiveness. Trying harder will not resuscitate those models. We are rather like the disciples in this post-Resurrection meeting with Jesus: “What’s next? How are we going to do this? Is this really what we signed up for? “These are questions that the people of God have asked through the ages, and the Spirit of God has always spoken to them and given insight and direction for the future.